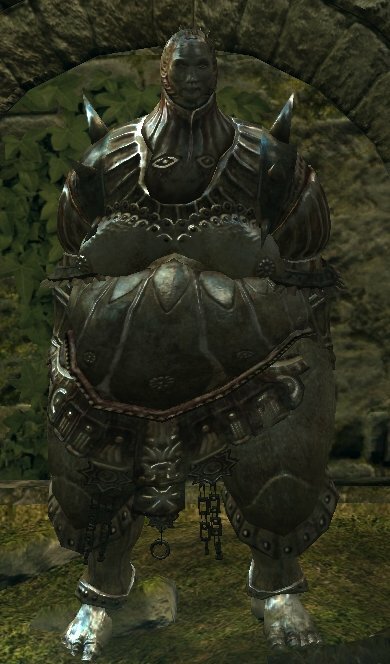 Worn by Smough, the Executioner, protector of the cathedral at the forsaken city of Anor Londo. It offers extremely high defense and can be worn by humans, but not without great difficulty. In the Ornstein/Smough boss fight, defeat Ornstein first, then defeat 'super' Smough. Domhnall of Zena at Firelink Shrine under the bridge will sell you this set. If you kill Smough first he will sell Ornstein's armor instead. This armor cannot be upgraded.